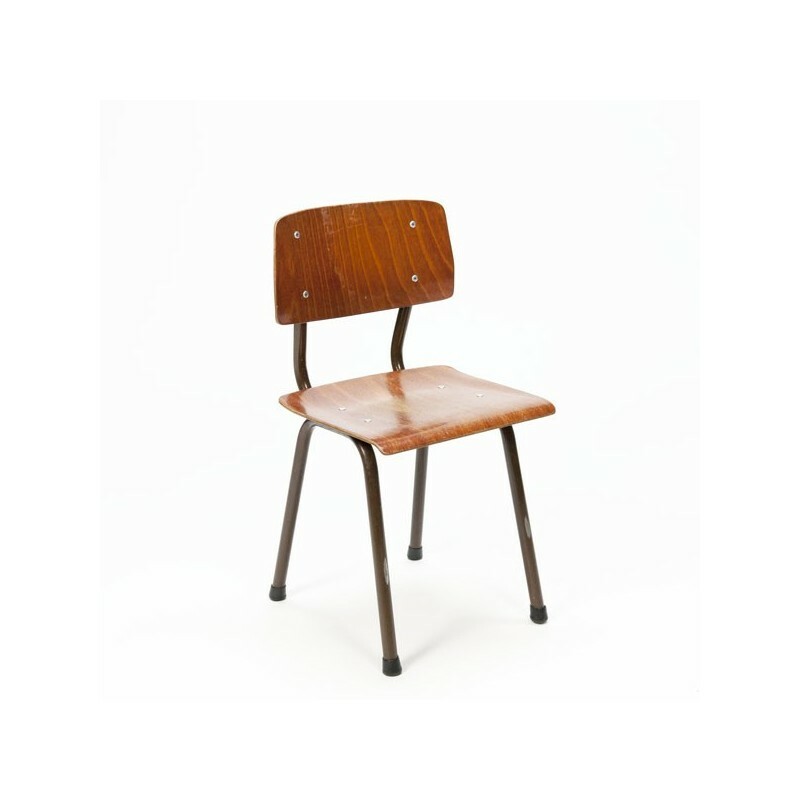 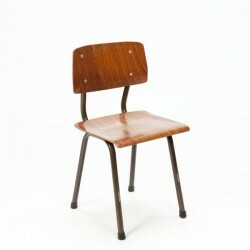 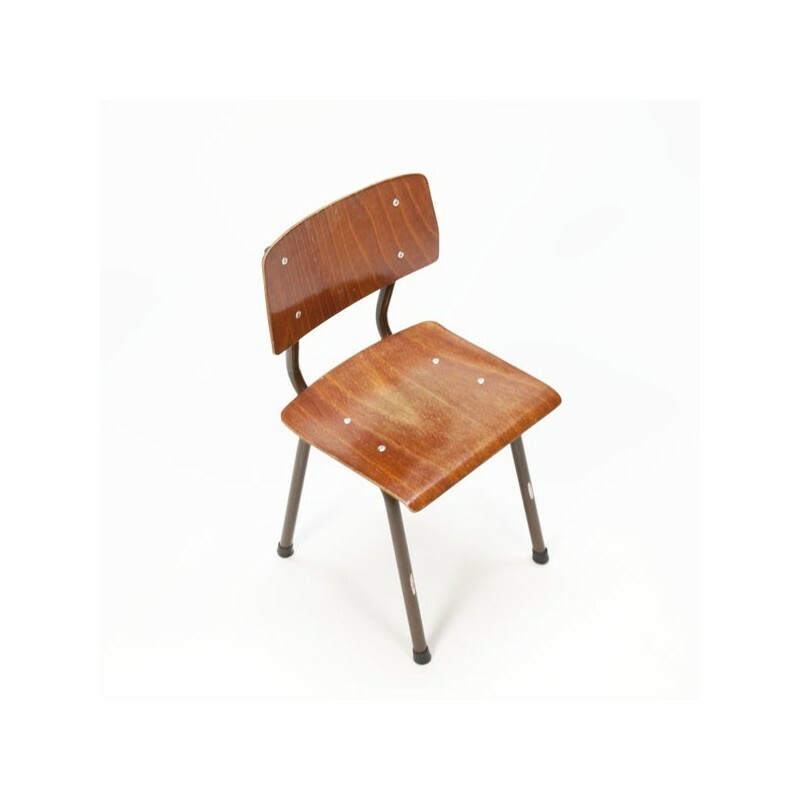 Vintage chair for children with brown frame. The condition is fairly good considering the age, see also the detialfoto's. 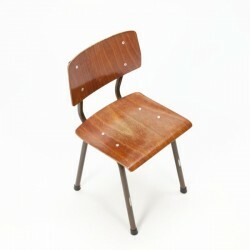 The size is 30 cm wide, 31.5 cm height and 57.5 cm high.